Farming Simulator ’17 adds new features and improves issues with the 2015 edition of the game, but while it may have done so, there’s still the question every gamer asks: Am I going to enjoy this? Well, let’s consider a few key points before jumping to any conclusions. The game is set up like a bonafide simulator. 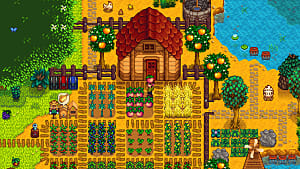 Players step into a farmer’s workboots to plant and harvest crops, raise livestock, and, most importantly, drive their choice of more than 200 farming vehicles. Its 3D textures and realistic style work together to help build a fairly realistic farming environment, even including a first-person perspective for an up-close farming experience that’s oddly satisfying. Honestly, it’s kind of neat to be sitting in the driver’s seat of a Massey Ferguson, watching such a huge machine harvest wheat as if you were actually there. As far as game content goes, it’s pretty standard. 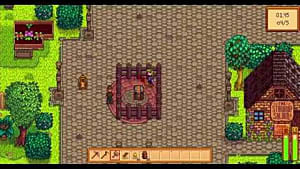 You get to farm crops, raise and husband livestock, and even go into the forests to be the logger you've always dreamed of. 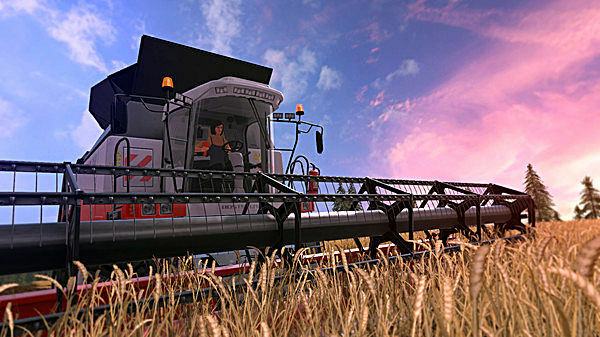 Ultimately, Farming Simulator '17 gives players flexibility in how they want to make a profit to buy new vehicles or expand their farm. All in all, the game lives up to its title. 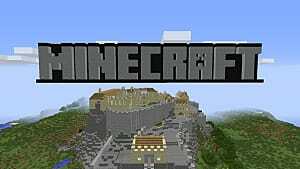 They are not the same type of game. Farming Simulator '17 is first and foremost a simulator and a decent one too. Its mechanics are easy to learn, the world is large and nicely rendered and there’s a lot of detail put into the vehicles. 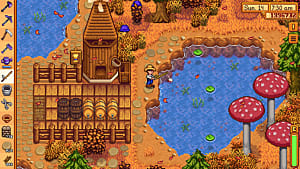 Stardew Valley and Harvest Moon, on the other hand, each implement RPG-like elements to their core gameplay, which lets them have the option of including other gameplay aspects beyond farming, like adventuring and dating. 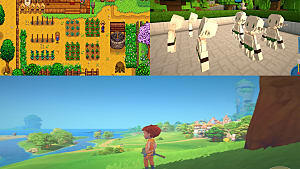 Befriending villagers and playing minigames in those games gives players something to do if there’s nothing to harvest. In Farming Simulator '17, you can participate in optional quests, too, but they are usually done to earn a bit of side cash or have something to do while the crops grow. There’s not much motivation to completing them. 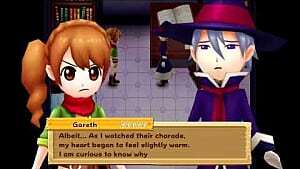 There’s a strong emphasis on narrative games those other RPG-like games, especially in Stardew Valley. 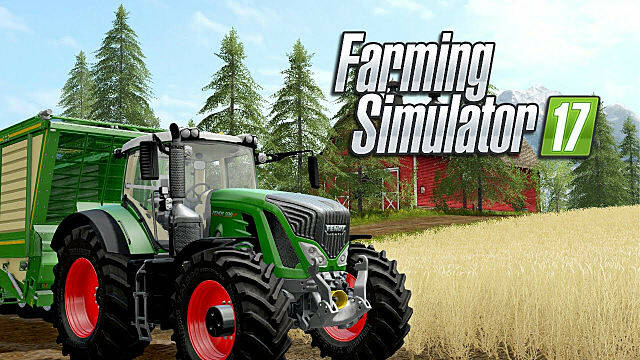 And as I’ve said before, Farming Simulator '17 focuses mainly on recreating an authentic experience, a fact easily known given that the game's trailers show off the vehicles you get to ride in detail -- and all they do is FARM! So at the end of it all, Farming Simulator '17 is great if you want as close to an authentic simulation of farming as possible. It manages to do what it set out to do with fine detail. 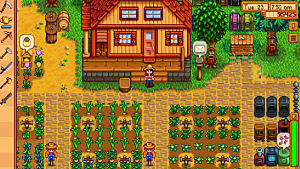 It might not be everyone’s cup of tea and it is definitely not as fun as the other games listed here, but it’s still a relaxing and enjoyable time. If you want a pure simulation game, this might be worth checking out. What do you think of Farming Simulator '17? 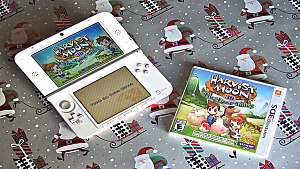 Is it as good (better than) Stardew Valley and Harvest Moon? Is it worse? Or is there no contest? Be sure to let us know in the comments below!